Capturing the Iconic, often Weird Sights & Scenes Around Austin. Photography Made Functional as Mugs, Coasters, Keychains, etc. Materials: Camera, Printer & Ink, Coasters, Mugs, Magnets, etc. 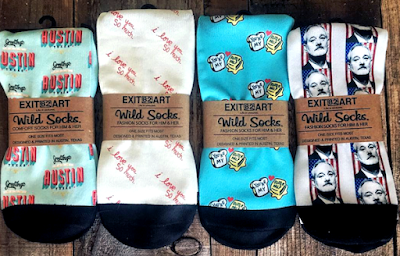 Common Creations: Coasters, Mugs, Stickers, Socks, Keychains, Koozies, etc. As a fellow photographer and proud Austinite, I am a big fan of David Melancon, the mastermind behind Exit82Art. 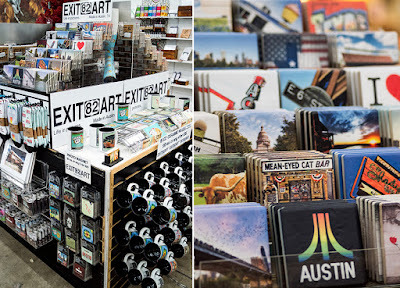 He is wonderfully adept at photographing spots around Austin that are central to our city's personality. Anything and everything from classic neon signage of favorite restaurants to home grown events bustling with people. He got his start as a travel photographer, but decided he could make his work more available to people by turning the best shots into functional and fabulous items. I will always be a believer in decorating with fine art photography, but I love the idea of incorporating photos into our daily lives as mugs we drink our coffee from, cutting boards for preparing a meal and even socks to keep our toes warm! By placing photos on these functional goods, they become more than useful. 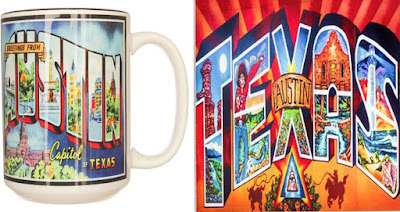 They now convey a part of our personality as we show off to others what we love about Austin. Many of his shots are also wonderfully nostalgic. Places no longer there or events gone by. The hardest aspect of shopping Exit82 goods is the vast selection! I want one of each shot because they remind me of all the best Austin has to offer. David is an avid traveler so he also offers goods from other cities and states he enjoys. 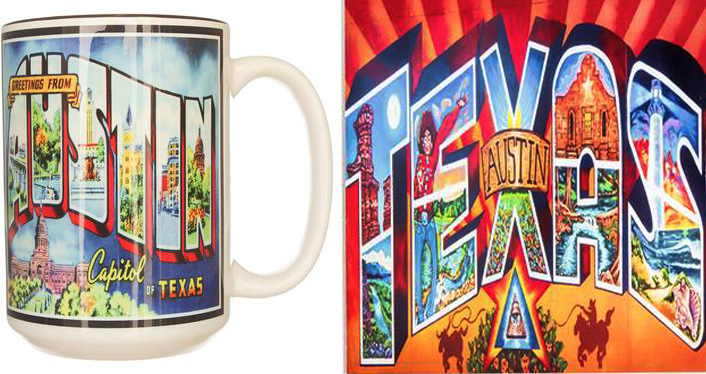 Whether you're from Austin or just come to visit, you can own a special part of our crazy city and use it with pride! Well done David! Well done!